Jobs in Chennai – Reliance Retail Walkin Drive for Executive Trainees on 12th May 2015. 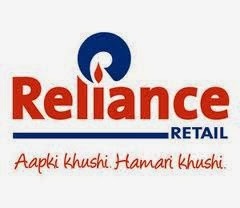 Reliance Retail Recruitment Drive in Chennai for Freshers as Executive Trainee position. Any graduate freshers are eligible to attend this drive. Interested and eligible candidates can directly attend the walkin interview at the below mentioned location. Looking for Executive Trainee (ET) for Reliance Fresh stores across chennai. Ensure proper presentation and display of products as per plannogram. Ensure that Store operations are carried out to comply with both Company Policy and all relevant legal requirements. To ensure cleanliness and hygiene are upto the mark and as per set standards of organization. To ensure effective control over the cash Office operations and general administration. Should have scored above 60% marks in any two out of the 3 basic examinations which are SSLC, Higher secondary and Graduation. Candidates should have strong communication in Tamil. Candidate should have good communication with a go getter attitude. Candidate should have good logical and numerical ability with any eye for detail. With a vision to generate inclusive growth and prosperity for farmers, vendor partners, small shopkeepers and consumers, Reliance Retail Limited (RRL), a subsidiary of RIL, was set up to lead Reliance Group’s foray into organized retail. Since its inception in 2006, Reliance Retail Limited (RRL) has grown into an organisation that caters to millions of customers, thousands of farmers and vendors. Based on its core growth strategy of backward integration, RRL has made rapid progress towards building an entire value chain starting from the farmers to the end consumers.